A humanoid robot designed to eventually help International Space Station astronauts with various tasks will be returning to Earth for repairs, according to an IEEE Spectrum report. 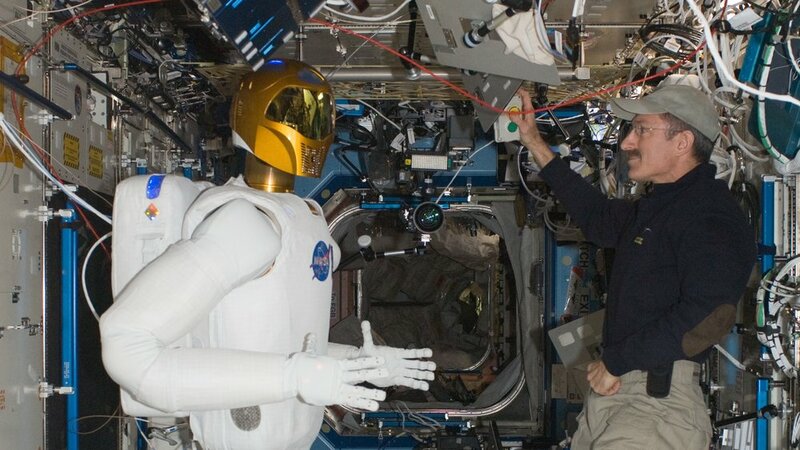 Robonaut2, or R2, was launched in 2011, but ran into problems in 2014 after an upgrade revealed unforeseen problems. Launched as part of the payload sent to the ISS via Space Shuttle Discovery in 2011, R2 was designed to be a technology demonstrator with the ultimate goal of providing astronauts with a humanoid machine that could handle tedious or dangerous tasks on orbit, be they inside the outpost or in the vacuum of space. It is a partnership between NASA and General Motors Co. When launched, the $2.5 million (according to RT News) technology demonstrator only had a torso, two arms and a head. Over its first several years on the outpost, crews would periodically take it out and set it up to practice various tasks, such as flipping switches, via control from the ground. In April 2014 NASA sent the anthropomorphic robot some legs via a SpaceX Dragon cargo spacecraft. These legs were designed to allow R2 to climb around the outpost and hold onto handrails while its two hands perform tasks. However, it wasn’t going to be as simple as plugging in an accessory. The astronauts aboard the outpost had to disassemble its torso and install new computers, wiring, mechanical assembly, and interfacing, according to a NASA news release from the time. According to IEEE Spectrum, the complex 2014 upgrade, which took 40 hours for astronauts to complete—twice as long as originally predicted—didn’t go according to plan and multiple attempts at fixing problems (over many months and several crew expeditions) failed. These included not seeing telemetry on the ground, loose wires, sensor failures, processor lockups, etc. It took until 2016 before the R2 team figured out that the problem was the robot’s circuits weren’t properly grounded, Robonaut Project Manager Julia Badger told IEEE Spectrum, and that this issue was slowly degrading the machine as the electrical current found other paths. Ultimately, a fix for this (adding a grounding jumper) was attempted in August 2017, but IEEE reported that the astronauts discovered a sealant to protect sensitive equipment, which was difficult to chip away. So, ISS managers and the R2 team decided the best thing would be to return the robot to Earth for repairs. According to a Feb. 9, 2018, ISS On-Orbit Status Report on NASA’s website, the crew of Expedition 54 prepared and stowed the robot in preparation for a return via SpaceX’s upcoming CRS-14 Dragon cargo mission.